How usable is your product? Any ideas? 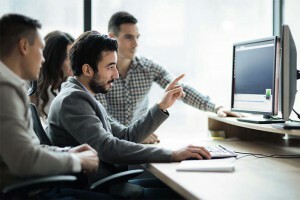 Most companies spend a lot of time focusing on the functionality of their products, often to the detriment of the actual ability to use that functionality by the average user. Sometimes just working on a product for a long period of time, you can lose your frame of reference for how easy or hard a product is to use. After all, you’ve been working in the product every day for months – you know where everything is because you and your team long ago decided on the layout. But what happens when you bring in someone who’s never seen your product before? Will they be able to find that one function? Or where to go for that info? NTS can assist you in determining the usability of your product by providing end-user analysis with various user experience (e.g., novice, intermediate, expert, etc.). NTS coined the phrase “Look and Feel” from the term, “User-Centered Design” or (UCD) by Wesley E. Woodson. Woodson defined UCD, “As the practice of designing products so that the user can perform required use, operation, service and supportive tasks with minimum stress and maximum efficiency.” UCD is an in-depth process of analysis of usability both qualitatively and quantitatively that requires a large amount of time and money. And in today’s competitive market, most developers can’t afford this approach. Based on UCD, NTS can perform a qualitative usability analysis of your product, determining whether or not it’s designed from the “human-out” and confirming that product’s design is made to fit the user and not the user made to fit the design. This approach, a sub-set of UCD, will not only give the developer a clear understanding on how well their product will perform in the open market but also keep within their tight budgets that are mandated by today’s economy. 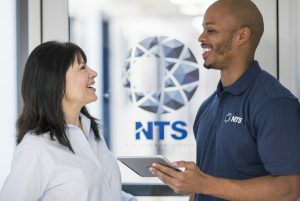 NTS Test Engineers will evaluate your software application and identify violations of common usability standards, inconsistencies, usability, efficiency, and overall look and feel. 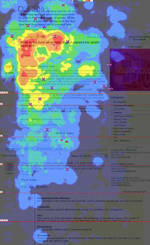 In addition, recommendations will be made to remedy any problems identified to increase the usability of your product. NTS has extensive experience in performing usability testing (among other types of testing) for our clients. Let us develop a test plan for your product detailing the various areas of evaluation so that you can determine how your end-users will respond to your product. We can use our NTS Look & Feel test methodologies to help you determine if your product is ready for release or needs more work. Contact NTS today to find out how to get your product tested today!